Are you sick of winter, yet? Here in northern Michigan, we have been hit with constant snow and freezing temps. Being trapped inside so much is making all of us a little stir crazy especially my very active two year old. In efforts to keep him busy and save my sanity, I have been trying to find new indoor activities. Then, when Learning Resources offered to try out their Jumbo Dinosaurs, I was thrilled to come up with some dino fun to keep little hands busy. The colorful and oversized dinosaurs have impressive realistic details, and they are durable even in the hands of my destructive toddler. 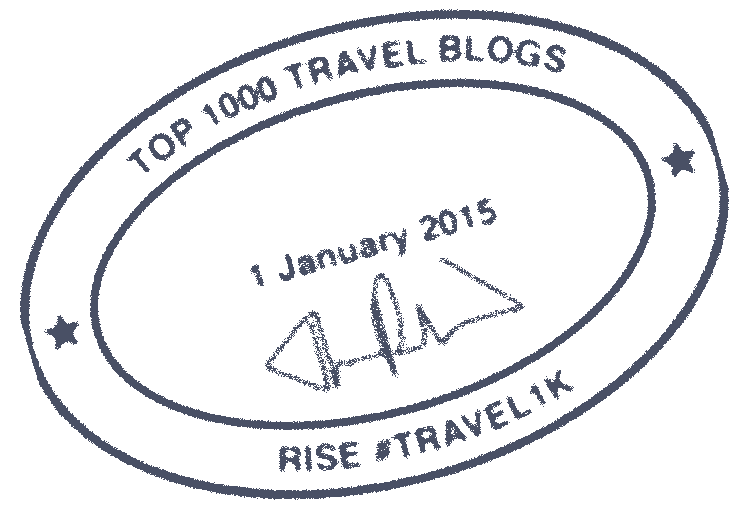 There are five dinosaurs including the Apatosaurus, Spinosaurus, Pteranodon, Ankylosaurus, and Parasaurolophus. However, as a mom, my favorite feature is the fact that they are dishwasher safe. This is especially important to me as we are working on potty training. Learning Resources designs toys that kids love and that moms and teachers trust. With our Jumbo Dinosaurs we found some new activities to stay busy as we ride out the last few months of winter. Spend the day creating the perfect dinosaur oasis. Get out those craft supplies and design an area where dinosaurs can roam happily. Teach kids about what types of food each dinosaur would eat, and where they might have found it. Create an archeological dig. 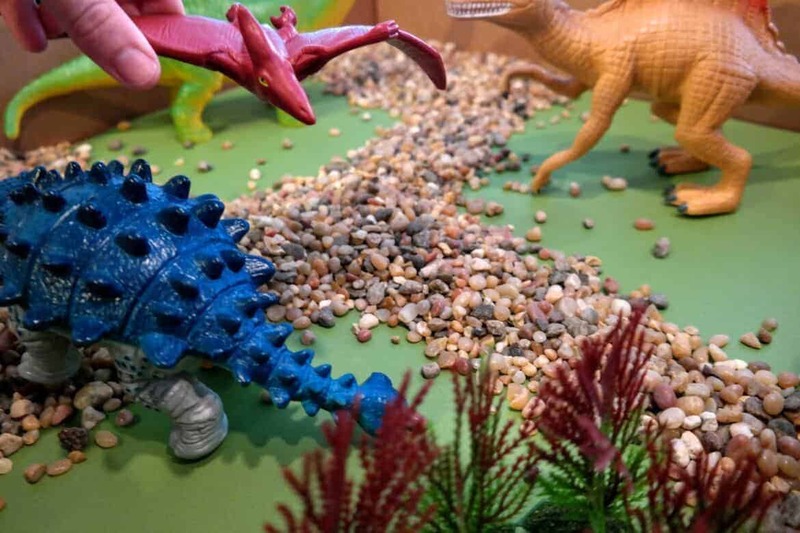 Use a plastic container and some sand to hide the dinosaurs and have your kids use paint brushes and sand shovels to dig up the dinos. 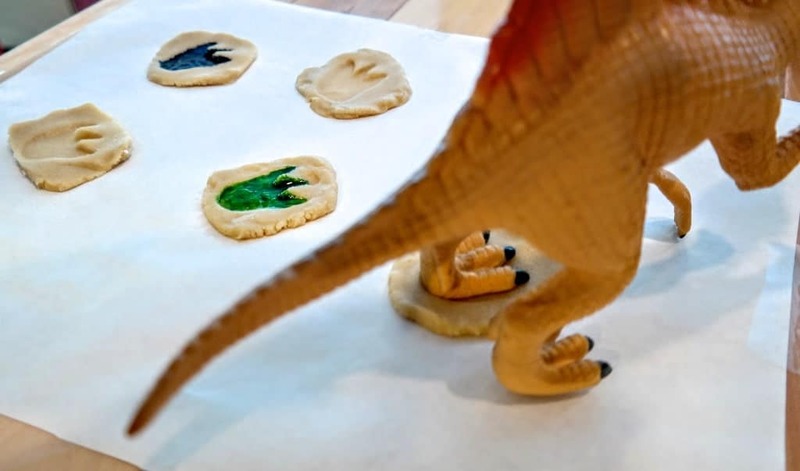 Try making some dino footprint cookies. We used a basic sugar cookie recipe and just used the dinosaur feet to create footprints on the cookies. Then, we used a little food coloring to make it more visible. Who knew dino feet could be so tasty! Try hiding the dinosaurs around the house and having the kids look for them. If you need a little extra “me” time, make sure you hide them in real good spots. 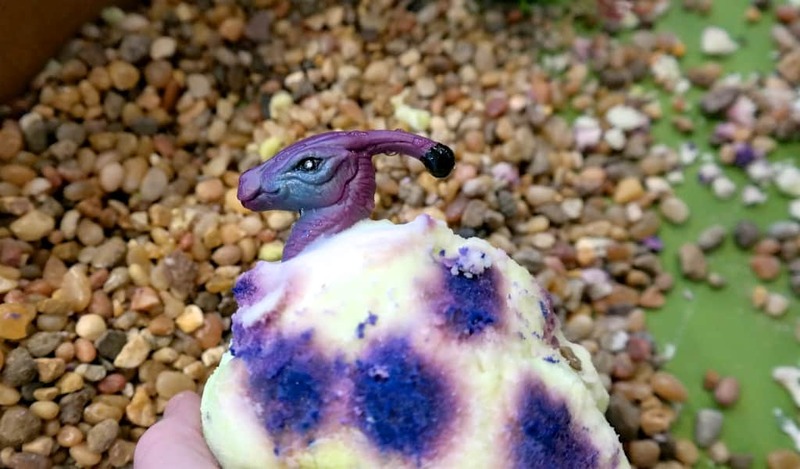 Make some dino eggs! Simply mix up water and baking soda until it forms a paste. Use food coloring to make whatever colors you would like. Then, form an egg around the dinosaurs and let them dry overnight. Hide the eggs and let the little ones search for them. Once they find them, they can use a little water to make them “hatch”. 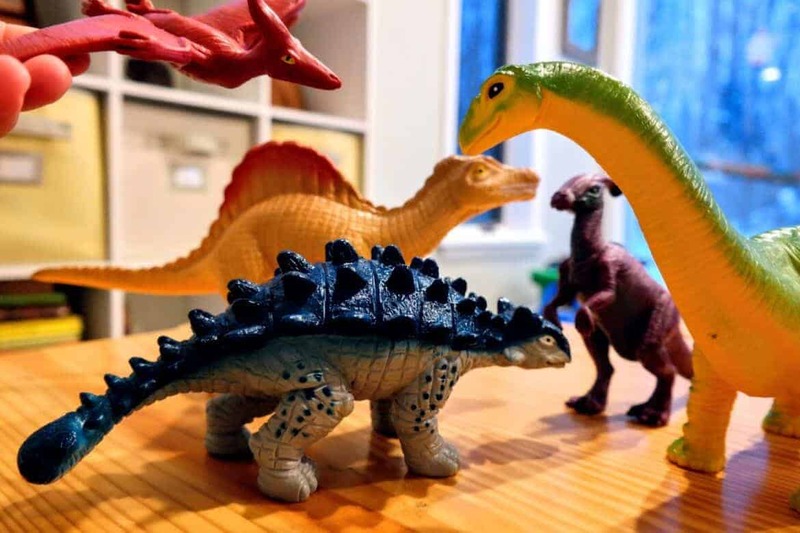 Learning Resources has an amazing variety of toys and the Jumbo Dinosaurs are great way to encourage kids to use their imagination while learning about these amazing creatures. Learn more on their Facebook and Twitter. I was sent product for purposes of this review. All onions remain my own. Are Play Tents The Modern Day Blanket Forts? That’s so cool. My 6 year old is so into dinosaurs.